RIU Plaza Guadalajara is a luxury 5* resort located in Guadalajara, Mexico. It features 550 rooms and swimming pools. 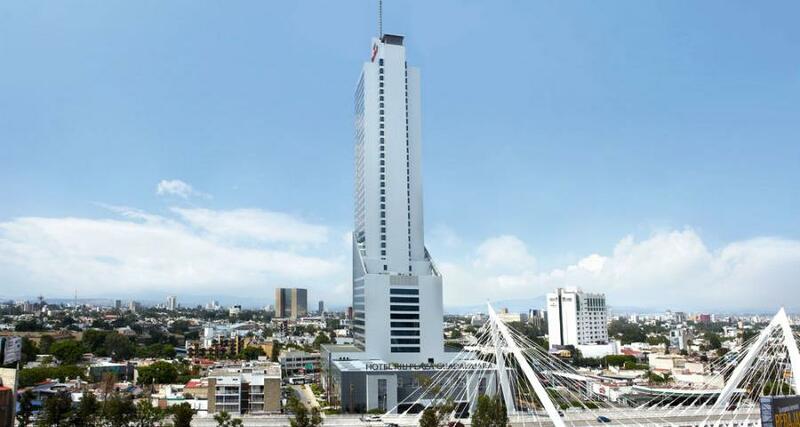 Located in the heart of Guadalajara, the business hotel RIU Plaza Guadalajara is housed in an impressive 42-story building and features modern, elegant facilities. On the premises you'll find contemporary guestrooms and great dining options, as well as a parking lot, a pool, and event rooms for private functions. Allowing guests easy access to popular attractions, the hotel is a fantastic choice for your next visit to the city.